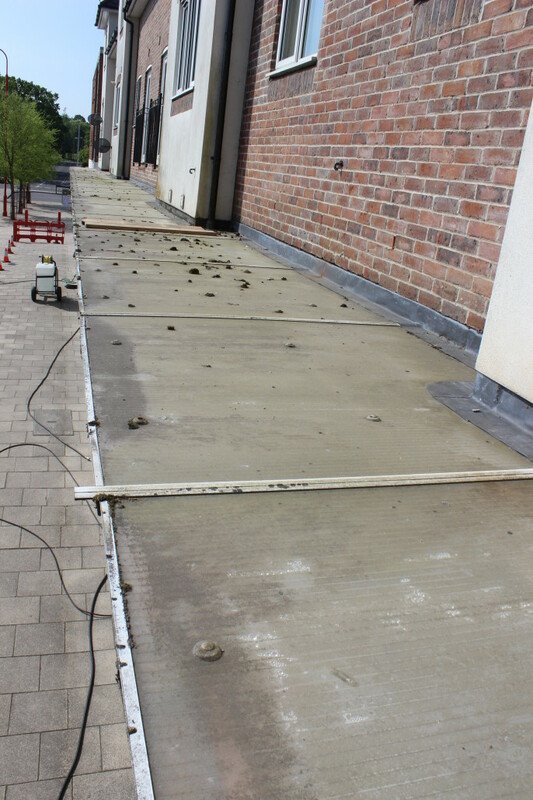 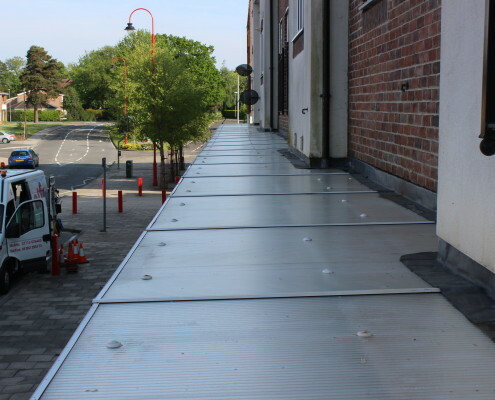 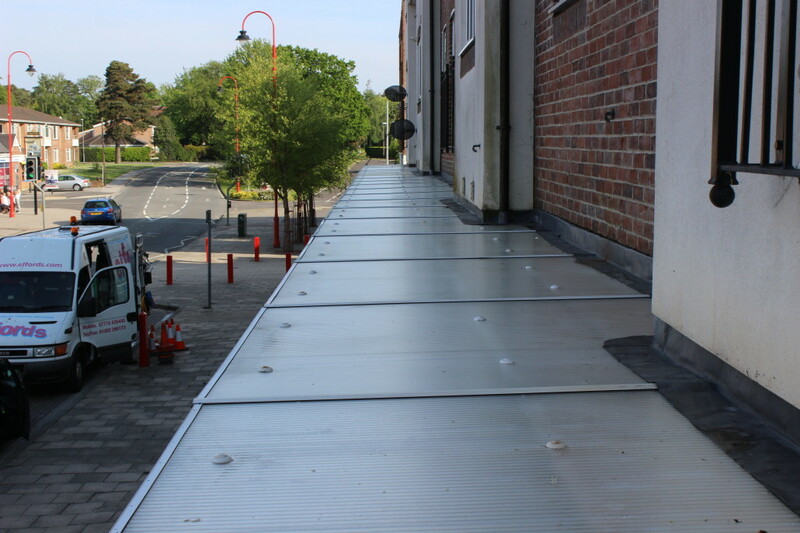 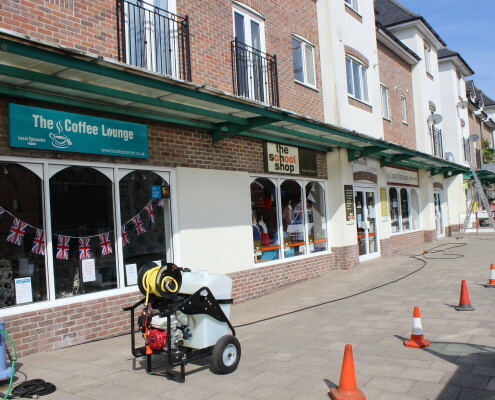 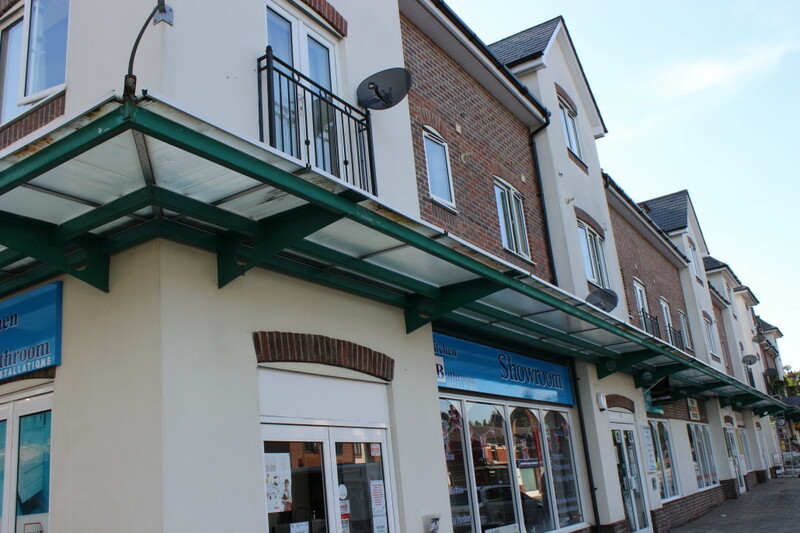 This roof cleaning project is part of a wider contract for a local property management company, whereby we also look after the gutter systems and window cleaning on the residential complex above the shops. 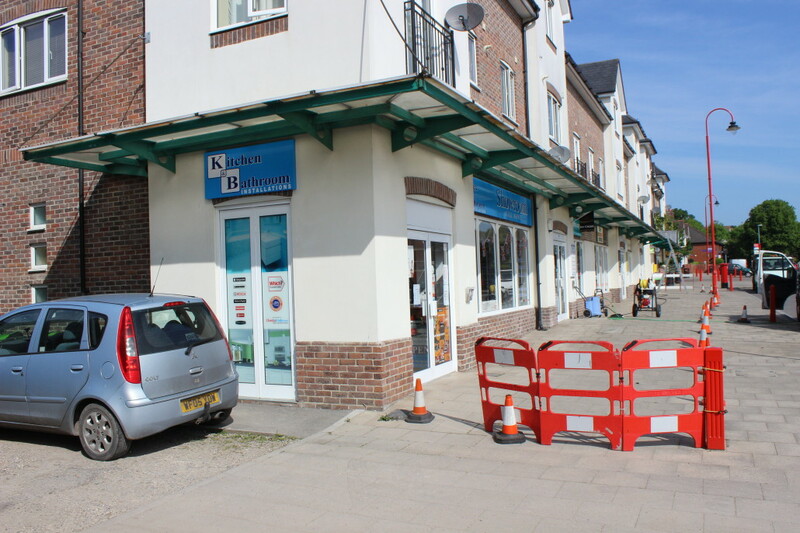 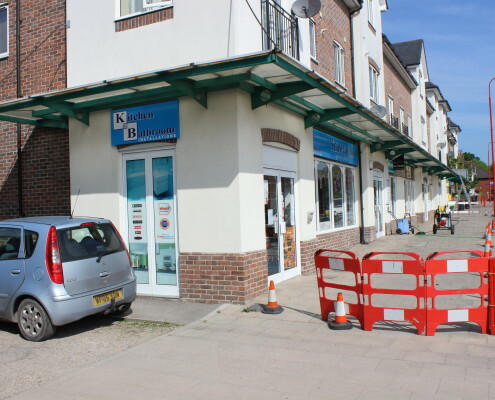 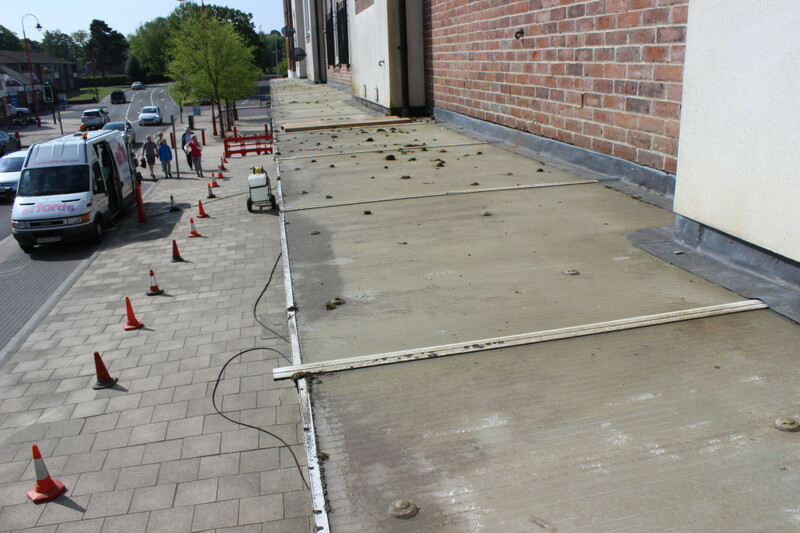 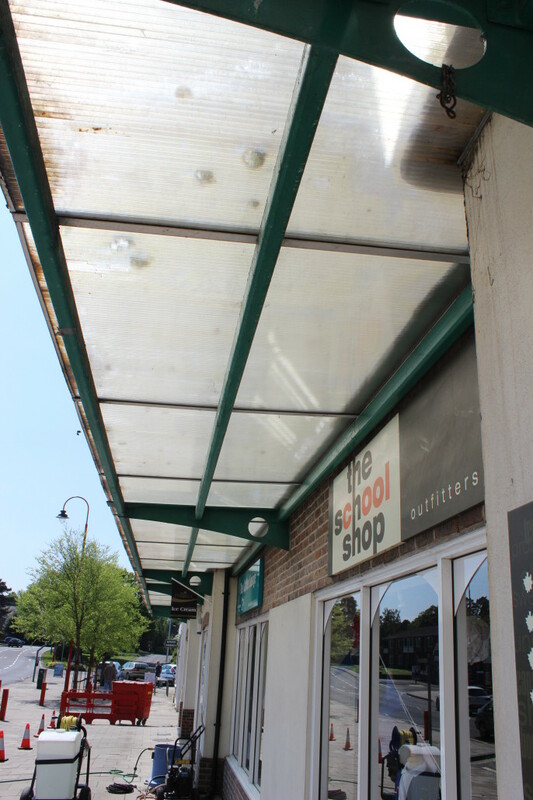 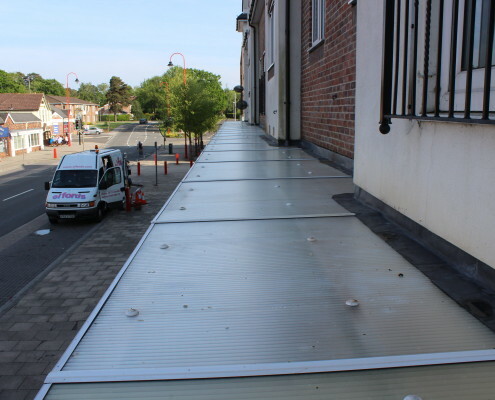 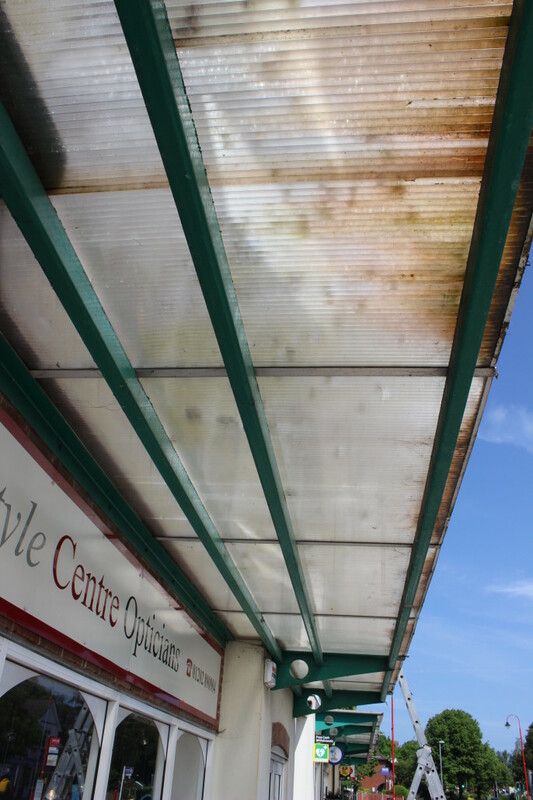 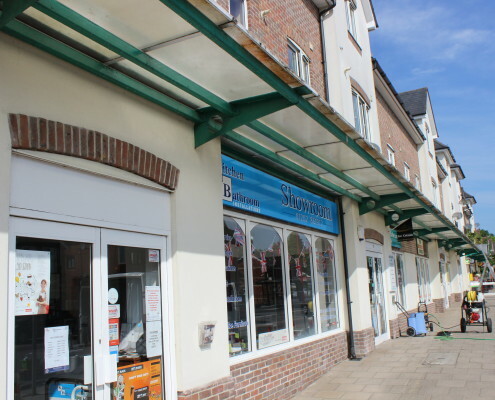 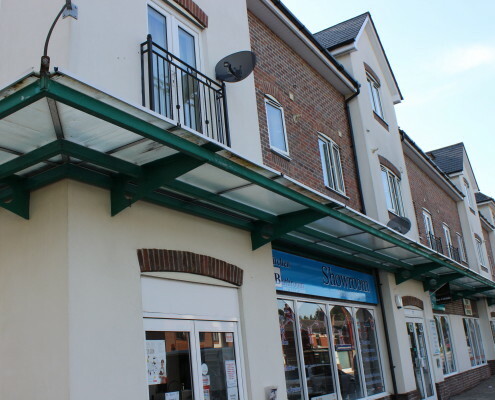 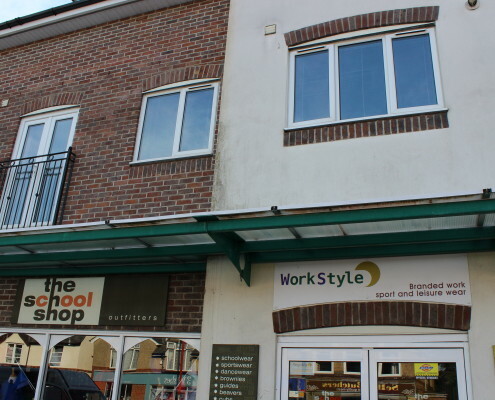 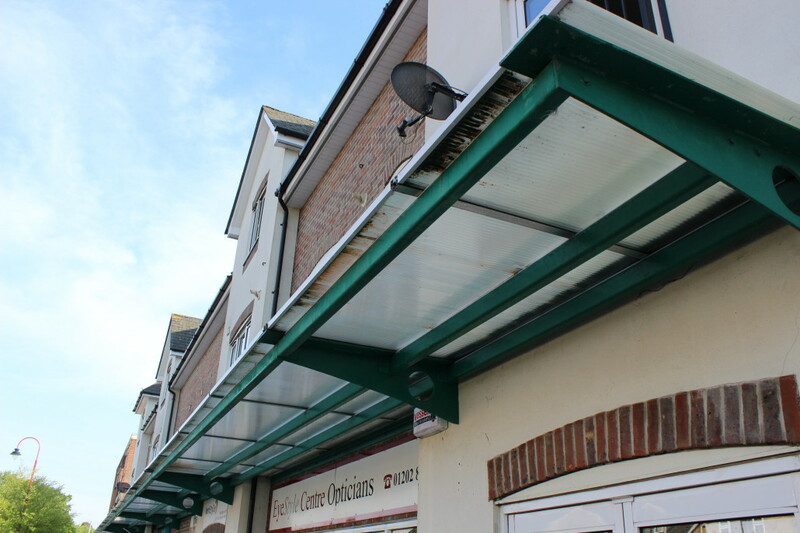 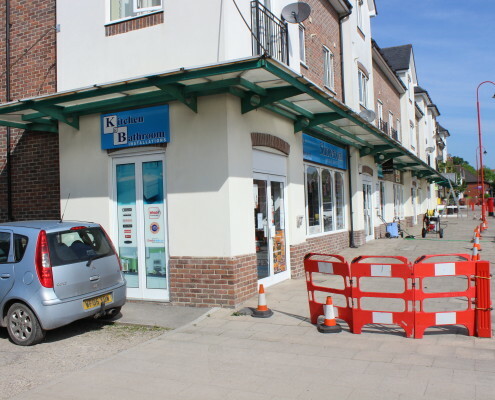 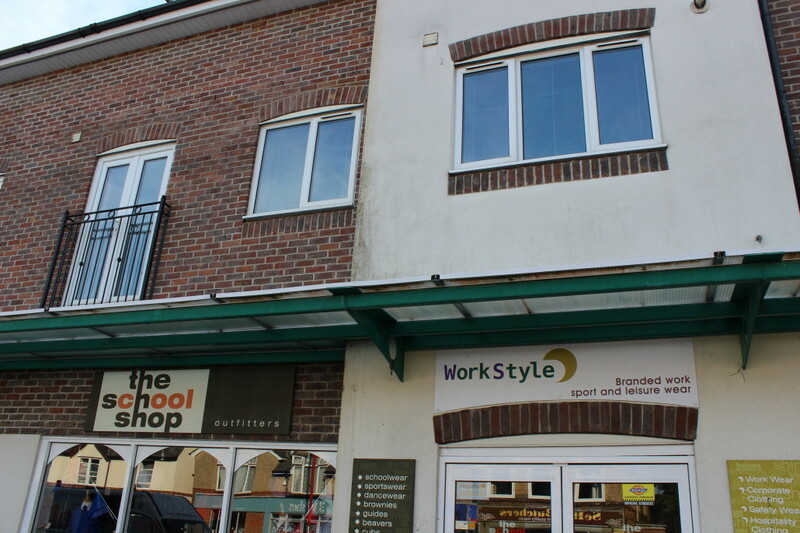 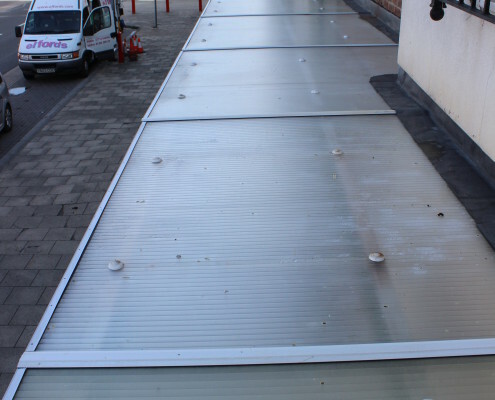 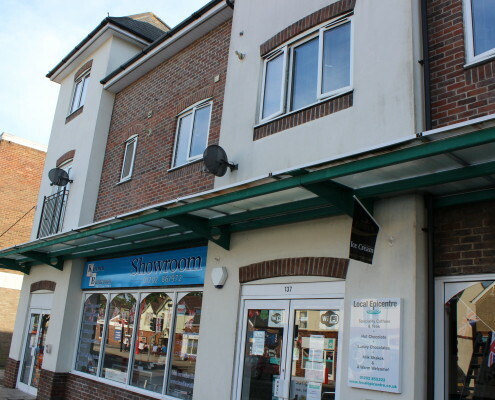 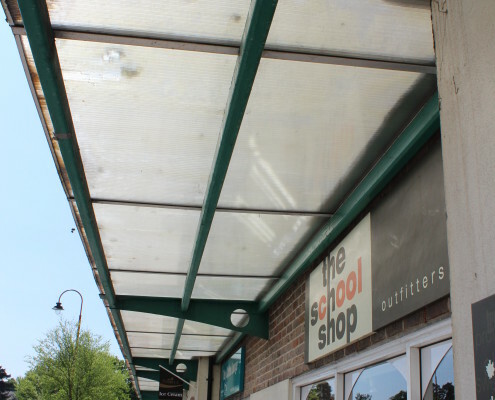 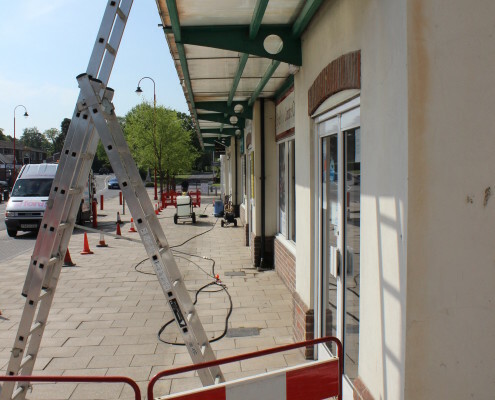 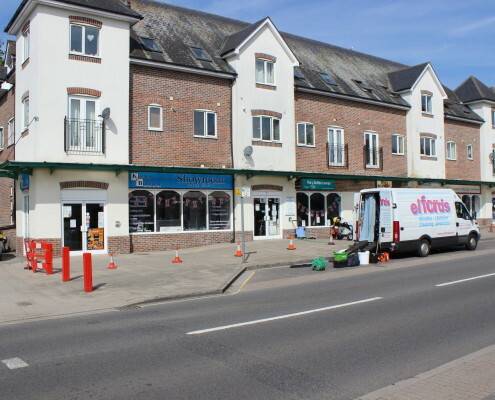 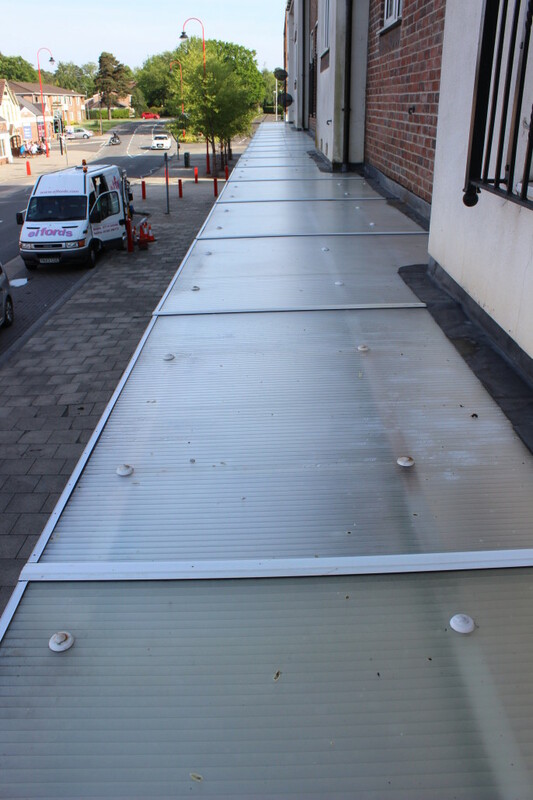 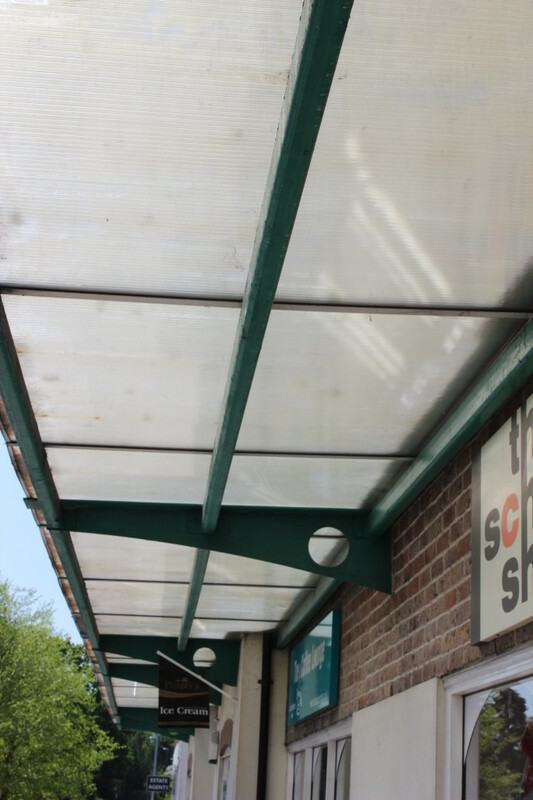 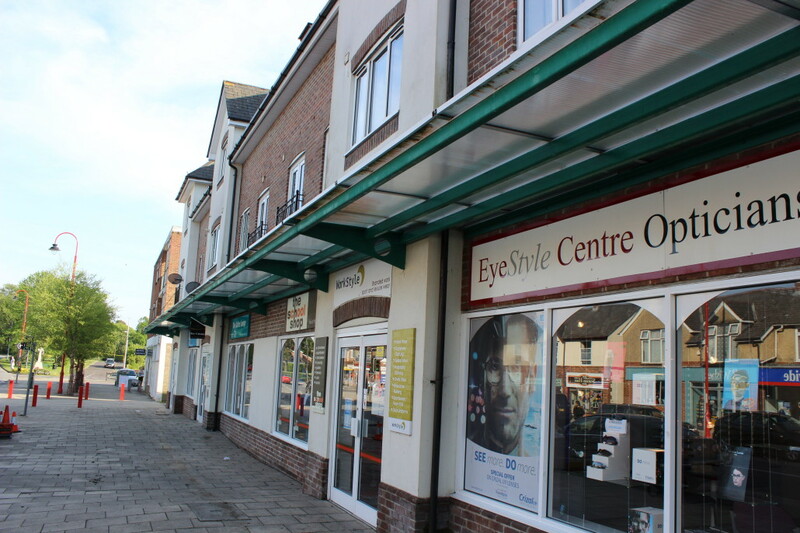 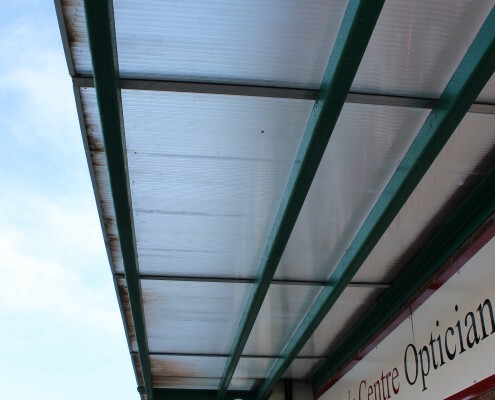 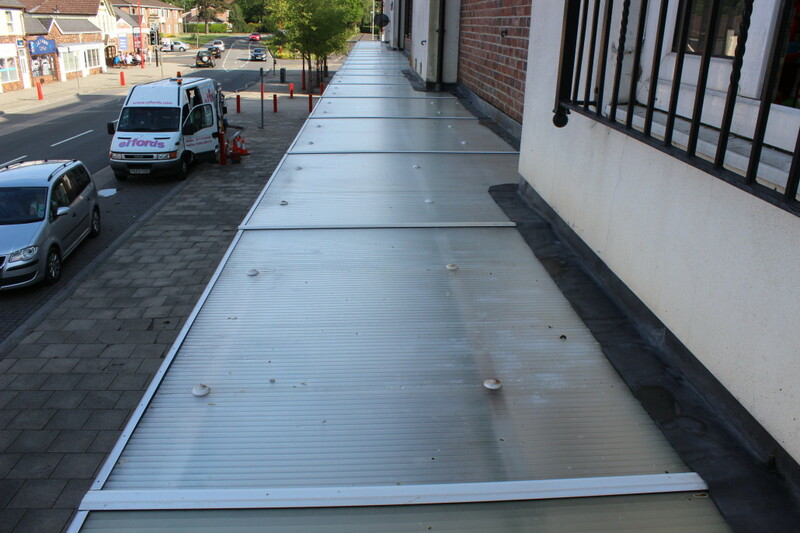 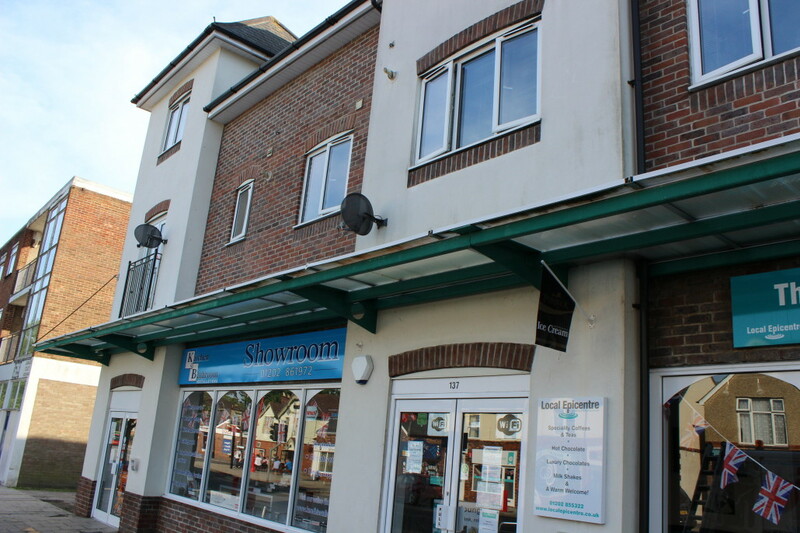 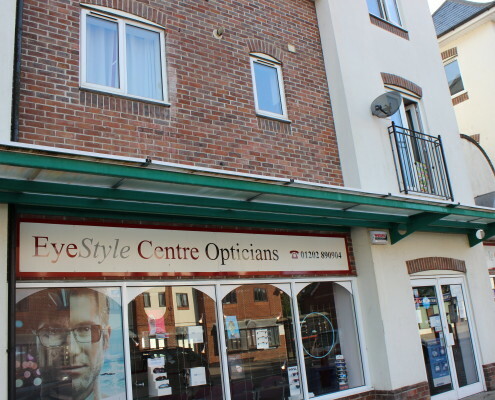 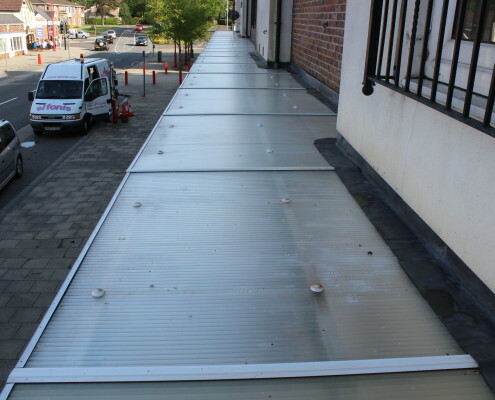 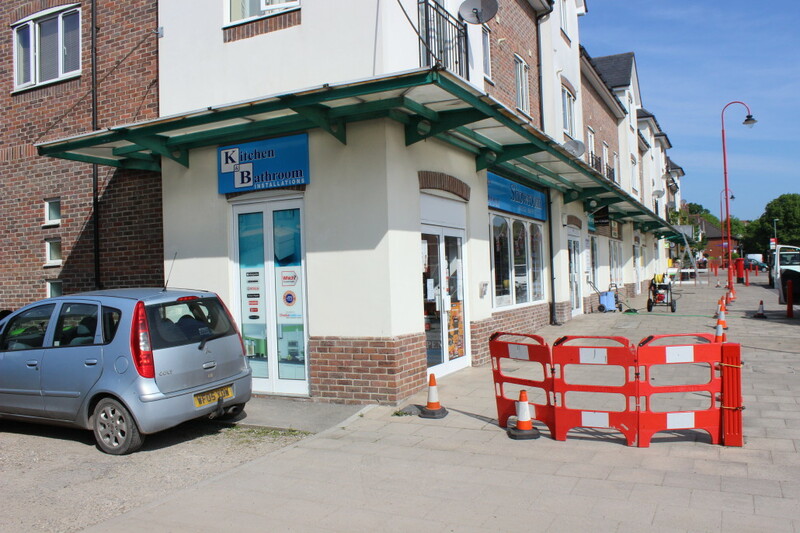 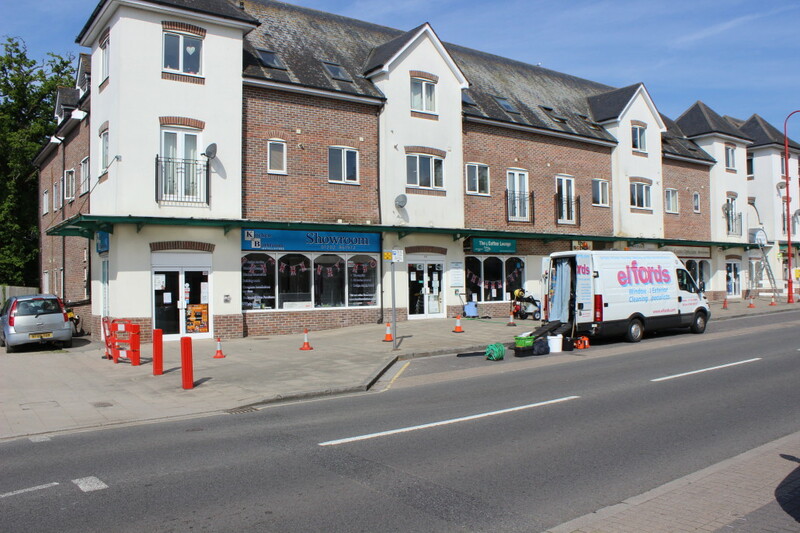 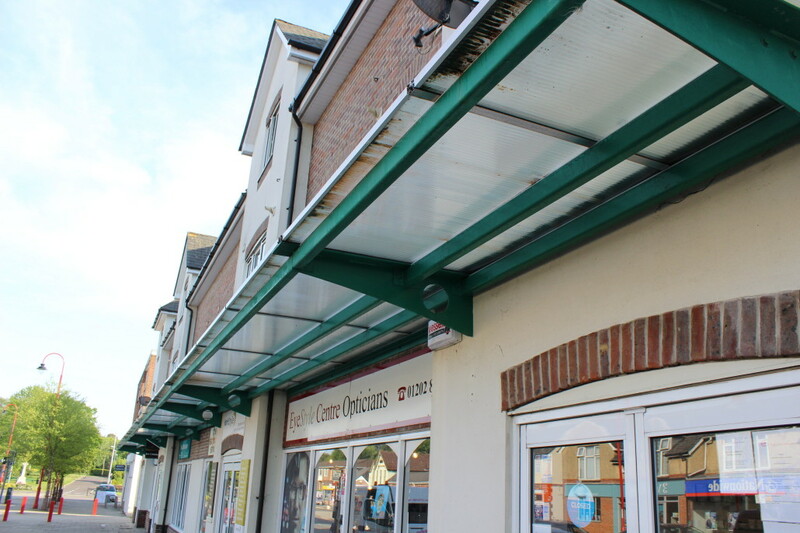 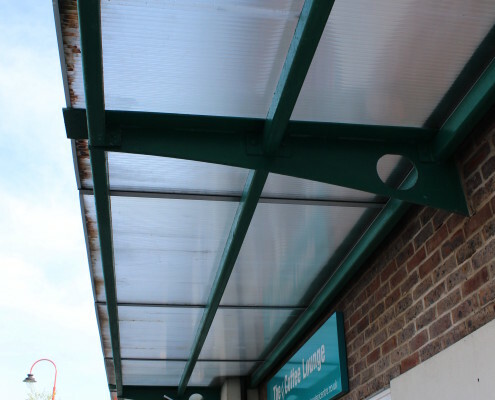 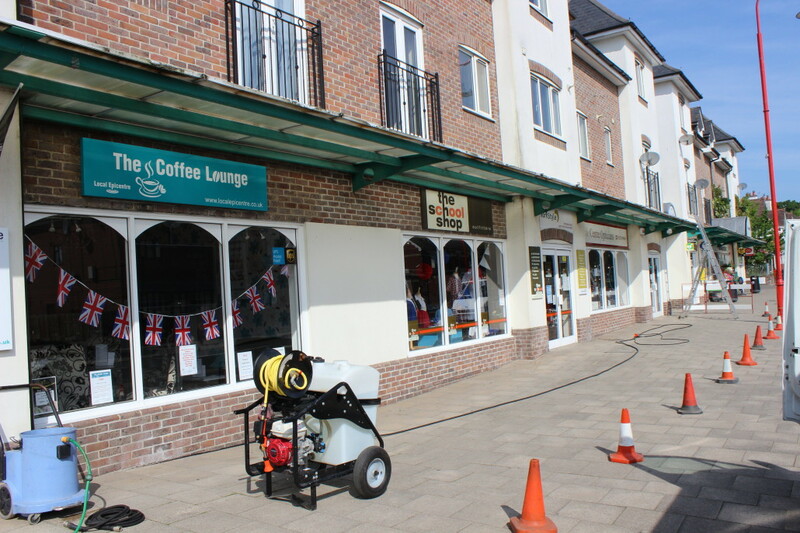 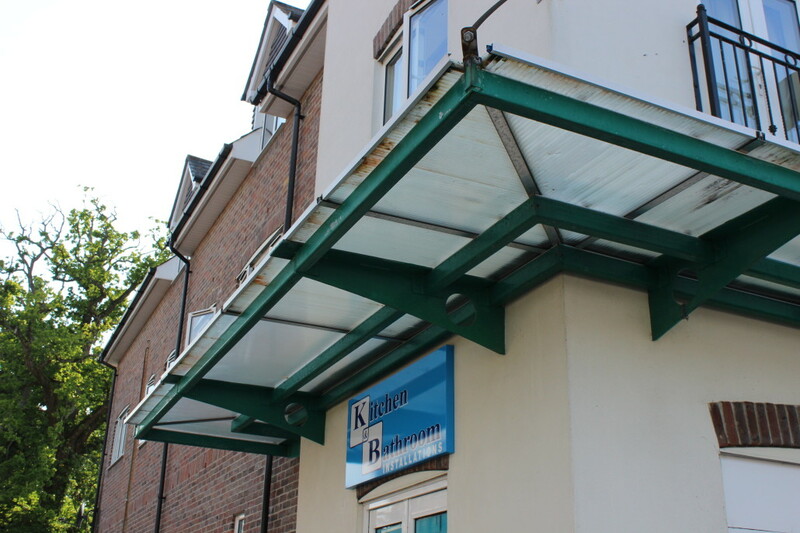 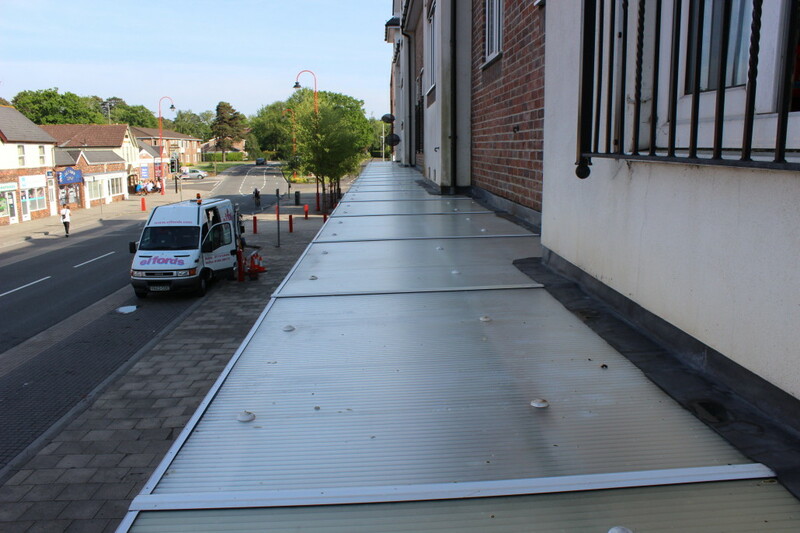 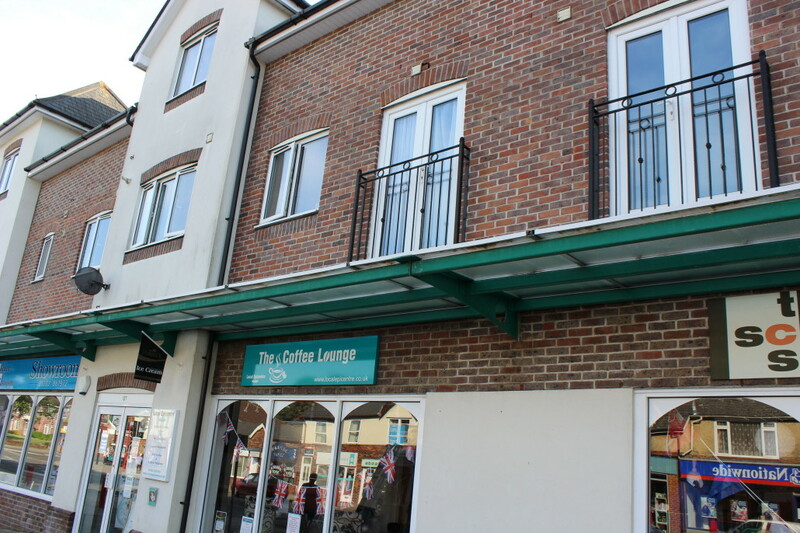 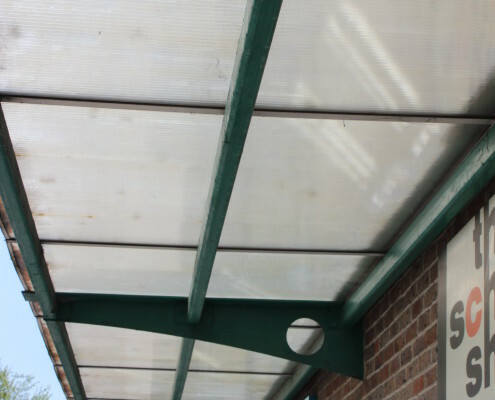 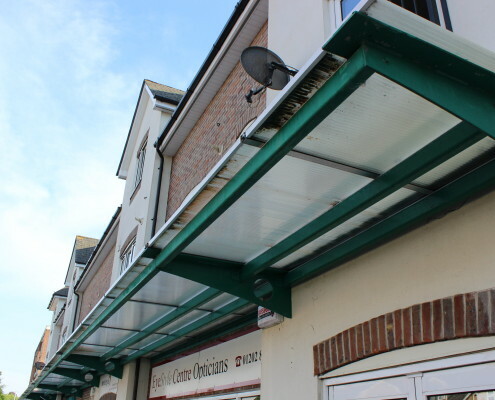 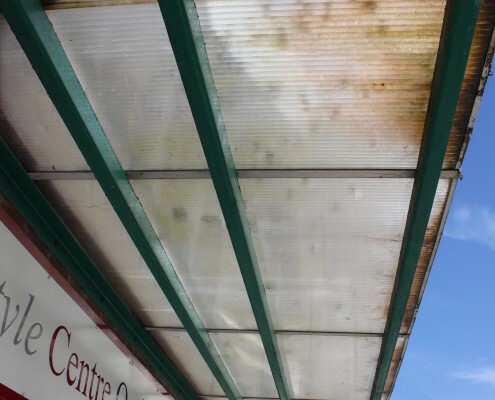 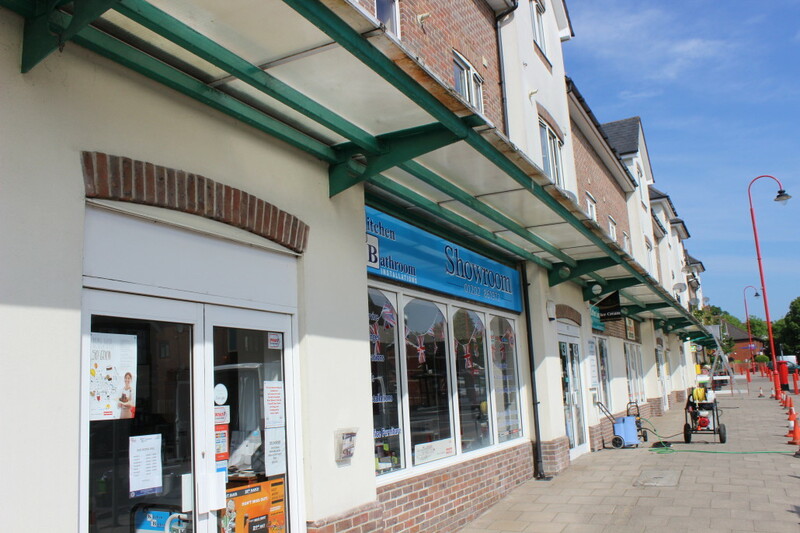 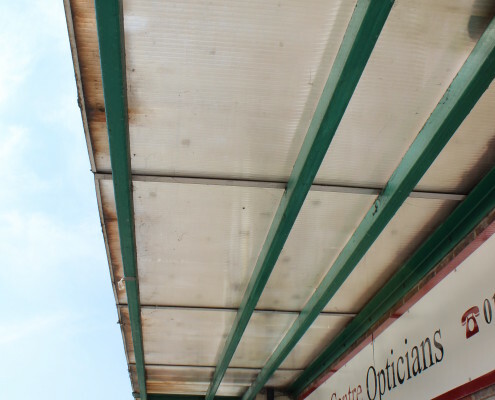 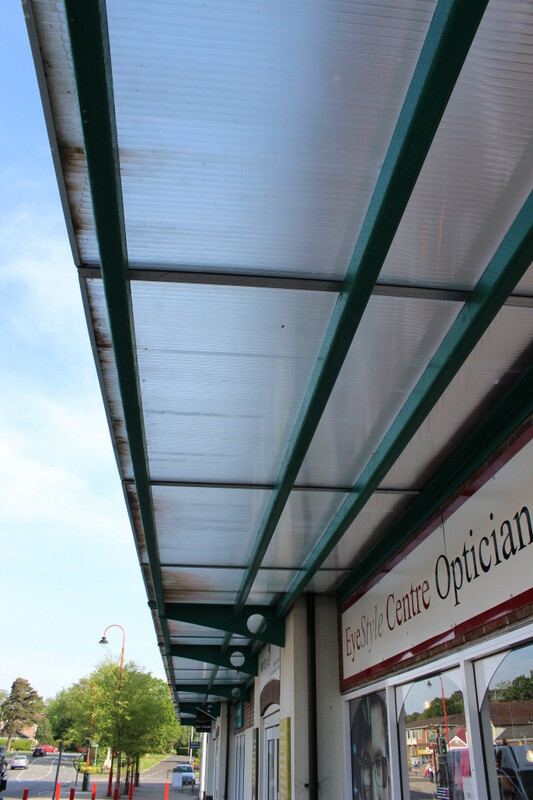 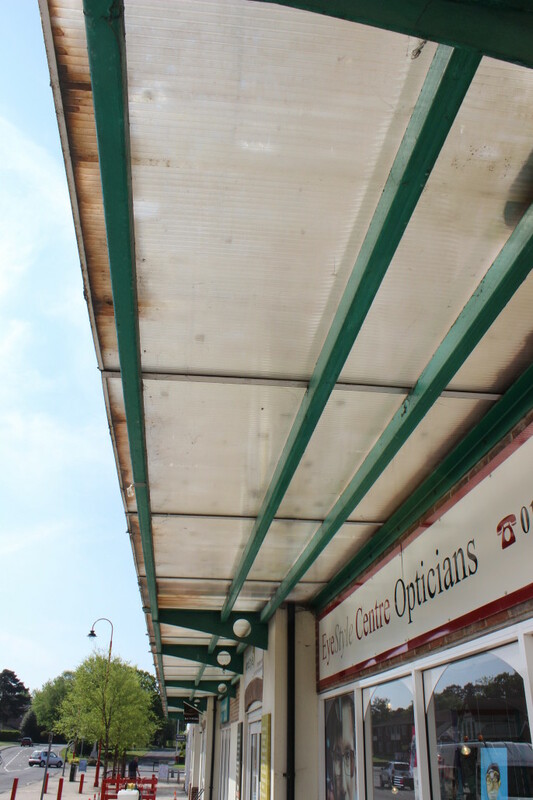 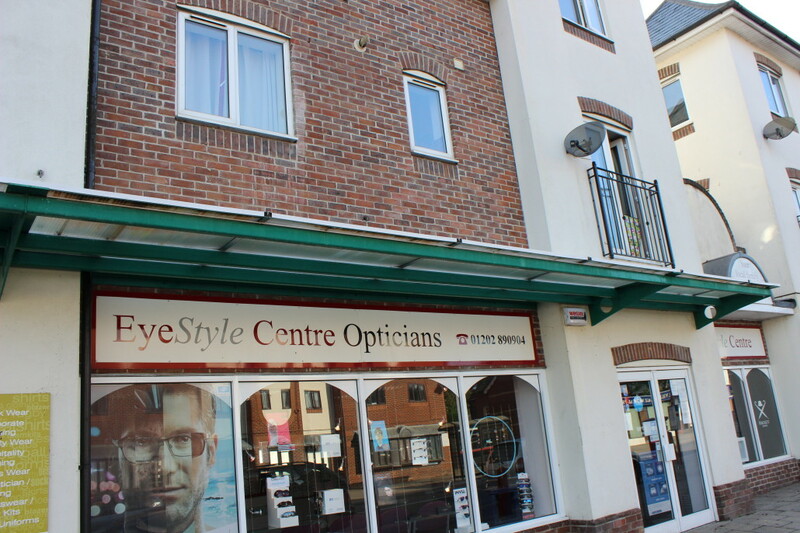 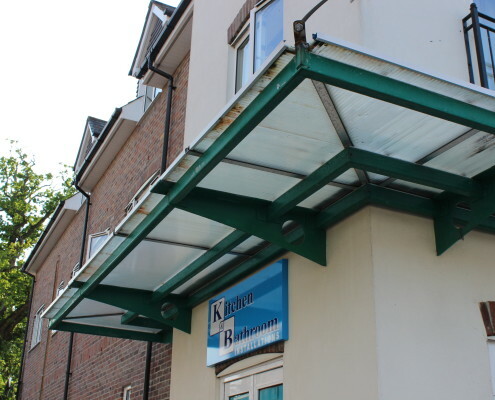 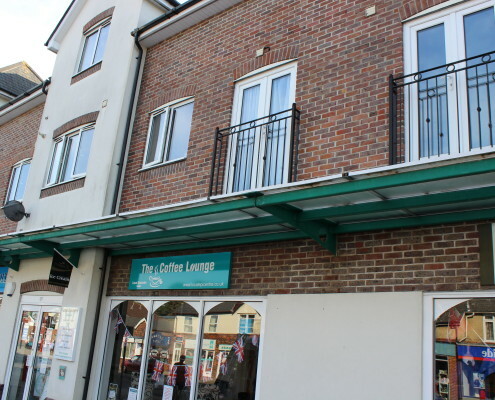 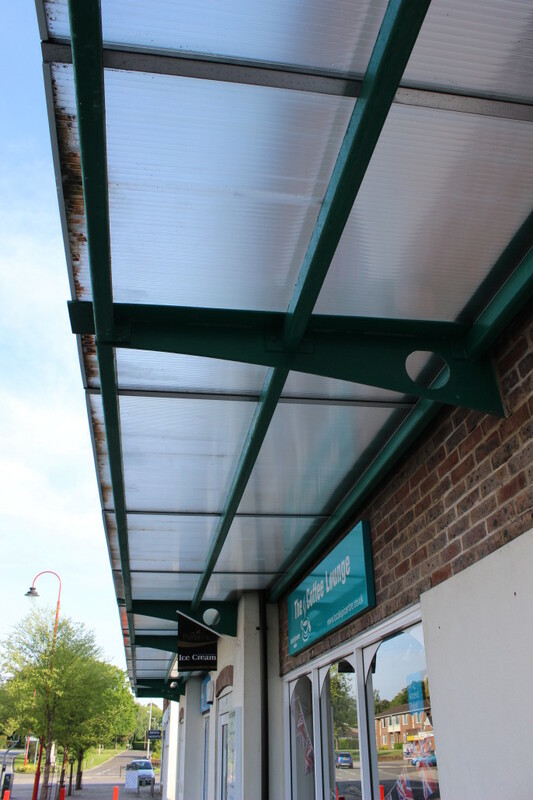 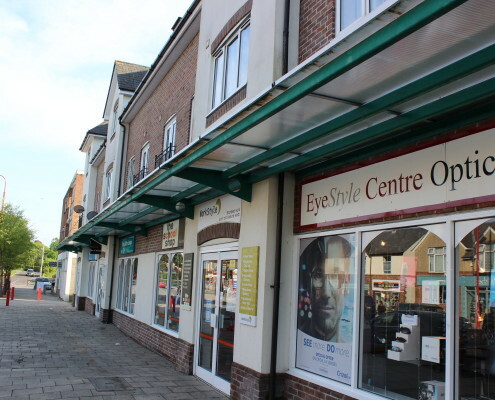 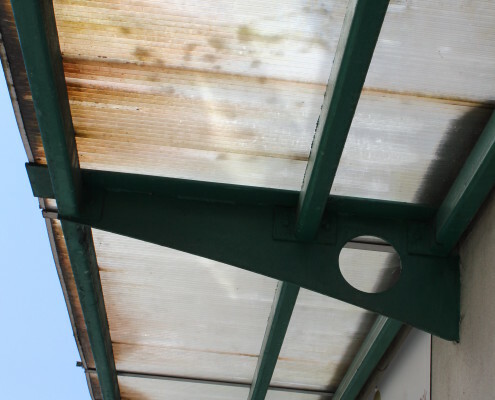 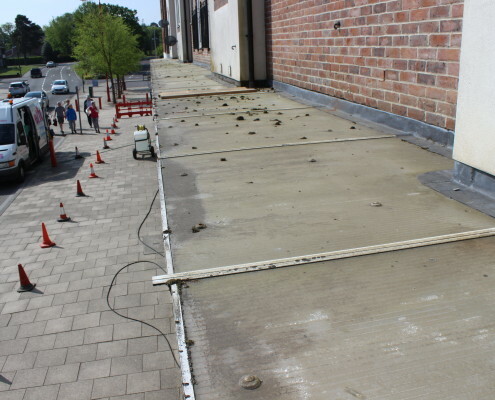 The shop canopy comes under the property management companies remit for the whole complex and as such they were keen to get it cleaned up as it was starting to look unsightly for both the shops below and apartments above. 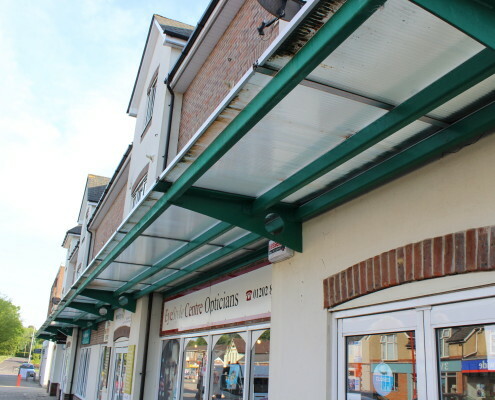 The canopy was covered in all sorts of air born debris from the nearby busy road, as well as algae and spiders webs etc. 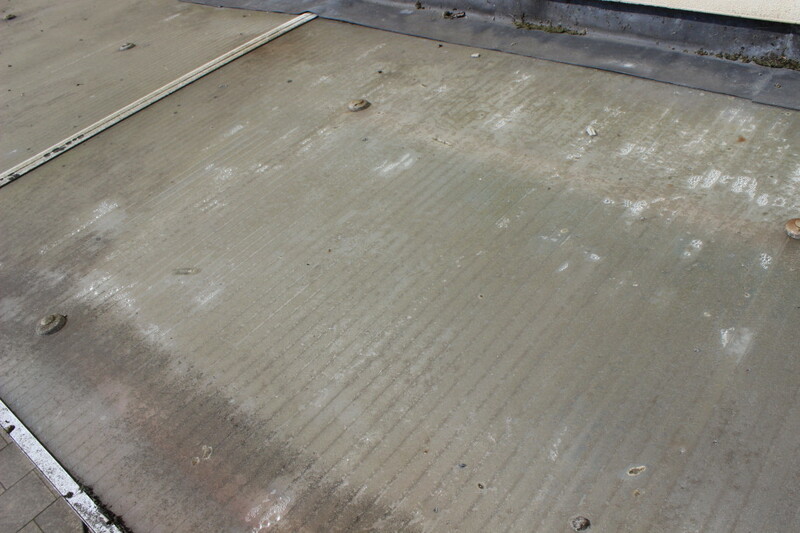 We were asked to clean both the top and undersides. 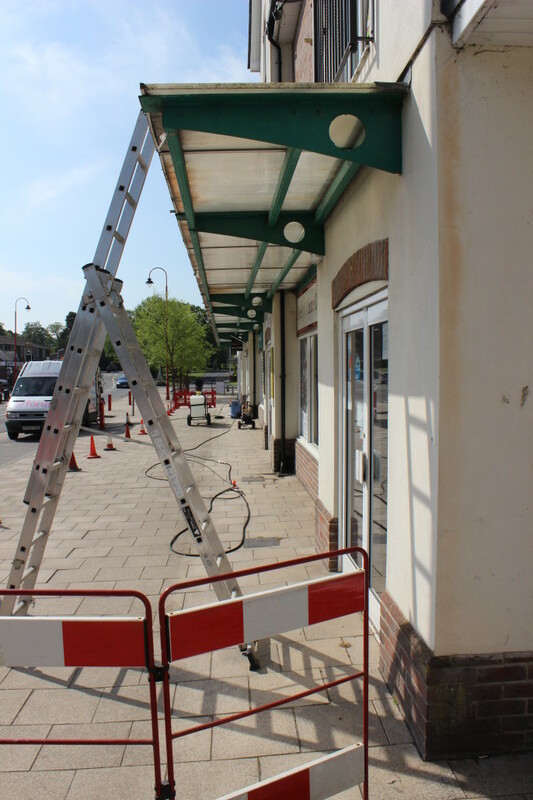 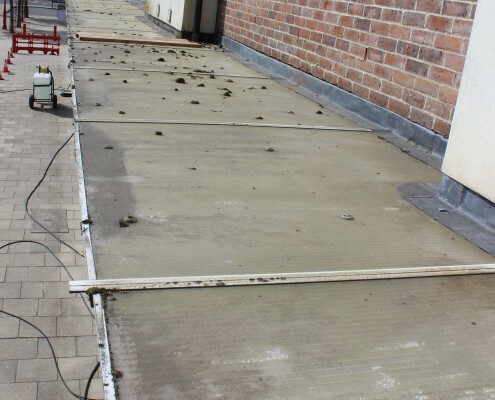 Due to the fact the shops were open six days a week the only day this could be cleaned was on a Sunday as of course it would not be safe to carry out the works while customers were regularly passing underneath. 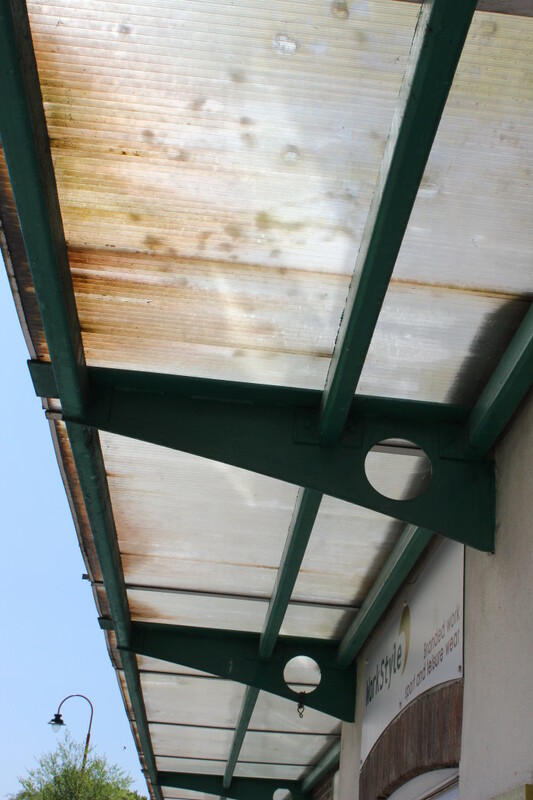 The method used was a combination of a biocidal wash pre-treatment, light agitation with water fed brushes on the top side and light pressure washing using extendable lances on the underside. 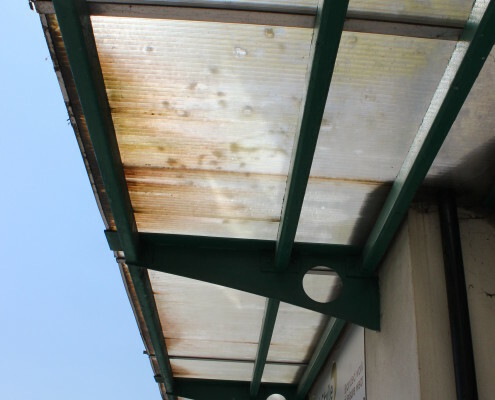 Overall this came up very well, however some staining remained in a few areas where water had made it`s way in-between some the perspex roof panels. These are impossible to remove short of replacing the panels. 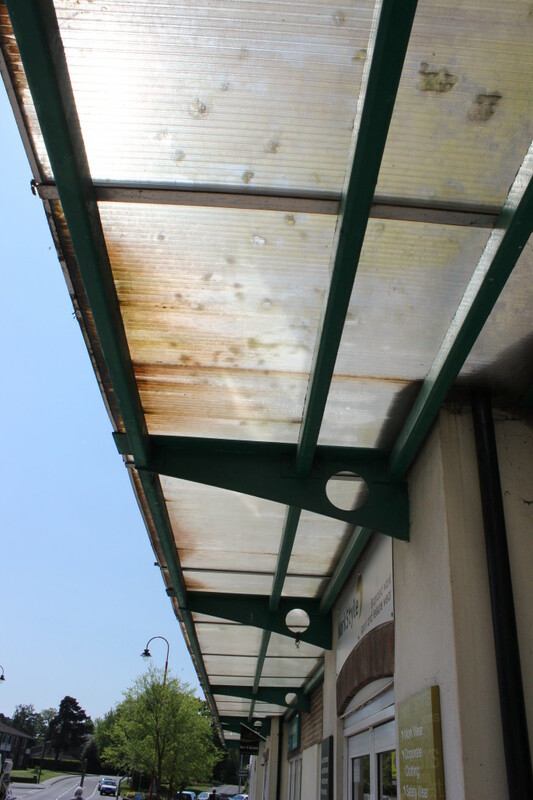 We now regularly clean this canopy annually as part of our other services to this complex to ensure it does not get as dirty again.